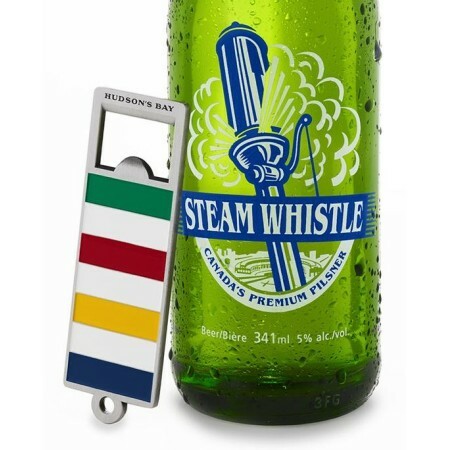 TORONTO, ON – Steam Whistle Brewing has revealed the design of the 2017 edition of its retro bottle opener, a popular promotional item that is returning for the 12th summer in a row, this time in partnership with another well known Canadian brand. This year’s opener features the signature Hudson’s Bay Company stripes on one side and the Steam Whistle logo on the other, and was designed by the companies to commemorate Canada’s 150th birthday. The 2017 edition of the Steam Whistle retro opener will be available across Canada in specially marked 6 and 12 packs of Steam Whistle Pilsner while supplies last. 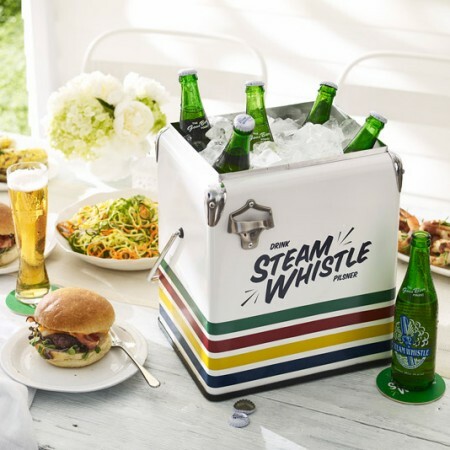 In addition, Steam Whistle and HBC are partnering on a limited edition barware collection that will be going on sale at Hudson’s Bay locations and thebay.com this summer. For more details, see the full announcement on the Steam Whistle website.